Last week had every car blog declaring the new name of the Alfa Romeo was going to be “Furiosa”. Well it seems like the democratic process of online voting didn’t suit the company and they have declared the results null and void. Rumor has it that the company was furious with the name due to the fact that it was too close to the name of the movie “The Fast and The Furious” and because “furiosa” means a woman who is angry and/or gay. Guess that’s not the image Alfa was looking to portray with their little Alfa Junior. The online contest which was held in 6 countries; Italy, Germany, UK, Spain, France and Japan, had online voters choosing between: Agea, Enos, Everso, Fira, Furiosa, Milo, Mod, Nevo, Solea, Sparvo, Velvetta, and Ventura. We’re not sure why “furiosa” even made the short list if the company had no intention of using it. The Alfa Romeo contest site still has the international winner as “Furiosa” so maybe the rumors are just that, rumors. The car itself is targeted at a younger market, 18 – 30 year olds, and intends to use smaller engines to shift down the average CO2 emissions that Alfa is known for. Built on the Fiat Grande Punto platform, the Alfa Junior will use the new generation of powerful T-Jet engines already available in Fiats. Alfa Junior will be the only 3-door model available. 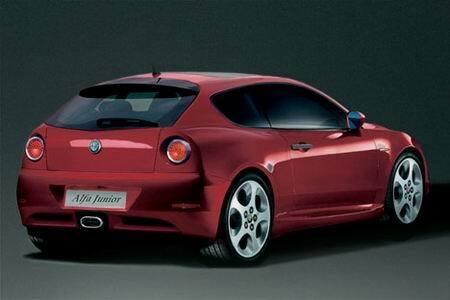 So, for now, it seems we are back to calling it “Alfa Junior”. It is safe to assume that by the time it debuts in March at the Geneva show it will have its own non-democratic name that is 100% company approved.